سرائیکی کوں سرکاری قومی تے تعلیم زبان بݨاؤ - saraiki's JimdoPage! Now there is lively discussion on TV Channels, in the public and in the Assembly for the creation of more provinces. During discussions India is praised for the land reforms and elimination of 650 princely states. Somehow the participants intentionally or unknowingly forget to praise India for the creation of more states and then re-adjustment of provincial areas purely on linguistic basis. We should not hesitate to adopt good policies of Indians who were not stupid by creating more provinces and reorganizing them on linguistic basis. Due to such realistic attitude for mutual coexistence, India is successfully maintaining national unity in spite of many religions, languages, cultural identities and warring factions. India is now becoming regional power and we have become a beggar nation. Why we demand Siraiki soobah? Will it be an administrative unit or linguistic unit? Which areas will be part of the new province? Which city will be capital of the new province? What will be the fate of non-Siraiki people? Will it have sufficient revenue for the budget? This will open a Pandora box. People of other provinces will also demand more provinces. This will destabilize Pakistan . This is a ploy by Asif Zardari to corner Nawaz Sharif. This is a conspiracy against Punjab . This is a move to divide Punjab again. People of Punjab will not allow division of their province. Punjabis will be displaced and will become muhajir again. The current situation in the country is not conducive for the creation of more provinces. Our country is in a state of war against terrorism and demand of new soobah is a distraction. People demanding Siraiki province are “Lisani Firqa Prast” and agents of enemy countries. Poverty alleviation, health care, education and Roti - Kapra aur Makan, etc., are the real issues and not the creation of more provinces. Common man in south Punjab is not in favor of a separate province. This is the demand of feudal lords who want to become Governors, CMs or Ministers of the new province. People of Bahawalpur demand separate province of their own. Leaders of Siraiki soobah movements could not win a single seat in the provincial or national assembly. Common man in south Punjab will get nothing. Many Siraikis were Governors, CMs, Ministers and President and now PM is Siraiki. We should hold them accountable for our problems. People of south Punjab are lazy and they should blame themselves for being backward. Provincial capital of Siraikistan will consume lot of resources to build infrastructure and other facilities, etc., which south Punjab will not be able to afford. Debate for the creation of Siraiki Province is gaining momentum. Our representatives, who are invited in the TV talk shows and other forums, should go fully prepared with powerful statements to make, without any hesitation. The critics and biased anchor persons normally try to be offensive in their arguments. As our demand is fully justified, so we should not be defensive. We should rightly and forcefully blame the Punjabi establishment and bureaucracy, politicians and the people of the upper Punjab for all our deprivations and they should be put into defensive and apologetic positions. As such we have to face with confidence and give proper answers to the following questions and objections which are being raised, by the people of upper Punjab , in the discussions held on TV channels and in public meetings and news paper articles. All such questions and objections are part of a malicious propaganda to discourage and thwart the movement for Siraiki soobah. Their obvious intention is to keep Punjab province intact, not for the stability of the country but only for their own vested interests. They want to continue getting undue benefits for themselves and their coming generations, all at the expense of progress and prosperity of the people of Siraiki Wasaib. They also consider it a threat to their policy of hegemony, colonialism and exploitation. 1. Was Pakistan created for the Progress, Prosperity and Welfare of Punjabis and muhajirs? The answer is flat NO. This country was created for the prosperity of all the people of Pakistan without cast, creed and region or religion. 2. Why then the people of these two communities are more educated and more prosperous? More than 90% persons on the list of Pakistan ’s richest people are from these two communities. They own almost all the industrial units concentrated in the regions of Mid Eastern Punjab and Karachi . They easily get employment in all the spheres of life. Almost 85% personnel of the armed forces, para-military forces, all the Government & semi Government departments, Judiciary, Civil Service, private sectors are from these two communities and they occupy all the lucrative and money minting positions. Future of their children and coming generations is fully secured. Now tens of thousands of these people have been able to migrate to other countries, all over the World, due to better education, better opportunities and support extended to them by their own people. 3. WAS it a mere coincidence or some thing properly planned and executed? It is our due right. Due to heavy weight Province of the Punjab , the Federation has always been unbalanced and shall remain unstable. Downsizing is necessary to create a balance. This is a must to keep the country stable and united. People of all the other provinces, including East Pakistan, always blamed Punjab for exploitation of their resources. Dividing this province into three or more provinces will create a parity and balance in the Federation units. Those who oppose this demand are, in fact, enemies of the state and their policies are destabilizing the country. Repressing this demand will create situation like East Pakistan and Balochistan. Siraiki Wasaib has never been part of Punjab which was established 160 years ago by the British in the year 1849. We want to restore our Province on the basis of historical and cultural boundaries of the past 2000 years. Language has been an integral part of it, yet this is not going to be a province for Siraiki people only. People seem to be allergic to the word “Linguistic” due to false propaganda. In India more provinces were created from time to time and the important thing was that the boundaries of all the Indian provinces were adjusted on linguistic basis. After all Indians were not stupid and in fact they have been able to stabilize their country and keep it united due to this realistic policy which we have failed to adopt unfortunately. This should be on the basis of the will of the people. For this an independent Judicial Commission shall have to be appointed to submit their recommendations. In case of a dispute the issue is to be resolved according to the will of the people on the basis of a referendum for that particular area. Which city will be the capital of the new province? This will be decided by the provincial assembly of the new province. This can not be a province for Siraiki people only. All the citizens will be free to live there similar to other provinces. Soon after Independence Siraiki Wasaib was the most prosperous region in the country. Although it has been left behind in the pace of progress and prosperity yet it has many natural and agricultural resources to sustain. Every province gets due share of the NFC award on the basis of Population (head count), land area and poverty factor. For the year 2009-10 Punjab’s share in the NFC award is Rs. 334 billion. Now population of Siraiki Wasaib is 40% and area is 60%. On the basis of recently agreed NFC award formula the share of Soobah Siraikistan should be more than Rs. 140 billion. Currently the development budget allocated for South Punjab is only Rs. 5 billion. Upper Punjab is gulping a whopping sum of Rs. 135 billion from the due share of Siraiki Wasaib. This practice has been going on during the last 60 years and will continue unless we have separate province with our separate allocation from the Federal Government. When Siraiki Province is restored, the estimated budget would be more than Rs. 250 billion on the basis of NFC award and local income. As such no one should worry about it. Actually the people of upper Punjab are worried that they will lose more than Rs. 200 billion this year and more in the coming years. They (upper Punjab) will be forced to curtail their non-productive development projects. If Pandora box of the Local Governments can be opened then why not this one? If the intentions are good and if we genuinely want to make the country united, strong and prosperous then we should not be afraid of opening of this Pandora box. This should be done right now, before this box explodes. The process of creation of more provinces should not be stopped by force or by hateful propaganda. In many countries additional provinces were created as per demand of the public. People of one area should not try to subjugate others even if the language and culture is the same. We take example of Nigeria which had three regions when it got independence in the year 1960. Later on one more region was added and then in 1967 it was divided into twelve provinces. In the year 1976 seven new states/provinces were created, bringing the total to nineteen. The process of creating additional states continued and in 1997 there were 36 states plus one Federal Territory . Yes. Let an independent Judicial Commission look into this crucial problem and submit a report which should be followed without prejudice. This view is put forward with bad intentions. History of Turkey , Nigeria , Afghanistan , Vietnam , Sri Lanka and many other countries, where more provinces were created from time to time, does not support this bogus argument. On the contrary this is the best option to avoid disintegration of a country. Equality and parity in the provinces will create goodwill and mutual trust which will result in united and strong Pakistan . This is a very funny objection. This argument belittles position of Nawaz Sharif. If Mr. Sharif is a true national leader then creation of more provinces should not bother him. At present his representation in the other three provinces and south Punjab is minimal. After creation of Siraiki and Pothohari Provinces , he will not be able to maintain his national stature. That is the reason he and his Punjabi Muslim League is worried. Wow!!! This is an emotional rhetoric. If we demand our due right after being deprived and exploited for 62 years then the so called champions of democracy and national solidarity consider it a conspiracy. If this act of division into more working units, as per demand of the people of various regions, is a conspiracy then the people who abolished One Unit in 1970 should be tried for this crime. In fact anti soobah campaign is a conspiracy to keep Siraiki Wasaib backward and under developed by keeping it under the firm control of Takht Lahore. Nope. This is to re-establish centuries old boundaries of Siraikistan, previously known as Riyasat-hae Multan and Bahawalpur . When they say “People of Punjab” they actually mean Punjabis who constitute 50% of the population of this province. Is Siraiki Wasaib their backyard colony? Before independence Hindus and their Muslim cronies used to say the same thing about division of India . But here we are not demanding a separate country. This is again one of the emotional tactics. Nobody will be displaced if they continue living there with a policy of mutual co-existence and they do not systematically change the demographics of Siraiki Wasaib. We are not responsible for the creation of this current situation. Unfortunately, our country has been under difficult conditions all the time since independence due to wars with India , religious conflicts and now Taliban threat, etc. Situation in the country will improve with the creation of more provinces and grant of autonomy with fair and judicious distribution of the national wealth. In fact the current situation has developed due to injustice done to the people of many regions like FATA, Balochistan, south Punjab and previously East Pakistan . Those who raise such objections are the culprits for creating such a situation. We did not learn a lesson after a humiliating defeat which resulted in cessation of East Pakistan and now Pakistani flags are being burnt in Balochistan..
We do not accept this as a logical and valid objection. Under this pretext the people of upper Punjab want to keep Siraiki Wasaib under their strict control like a colony. If more Divisions can be created for administrative reasons then there will be no problem if more provinces are created. People of other provinces do not support this demand of Siraiki soobah. People of other provinces strongly support this demand. Asfand Yar Wali, Mahmood Achakzai and Altaf Bhai strongly support this demand. They are the one who demand balanced Federation and parity amongst provinces. Even father of our present President, Mr. Hakim Ali Zardari also supported this issue many years ago. People demanding Siraiki province are “Lisani Firqa Prast” and agents of enemy. This has been our bad tradition to label opponents as traitors and agents of enemy countries. All the Siraikis are patriots and those who blame us are themselves not sincere to the nation. These problems will be solved more effectively with the creation of more provinces. With tremendous increase in the population and related social and economical problems the issue of creation of more provinces should get top priority. Common man in south Punjab is not in favor of separate province. 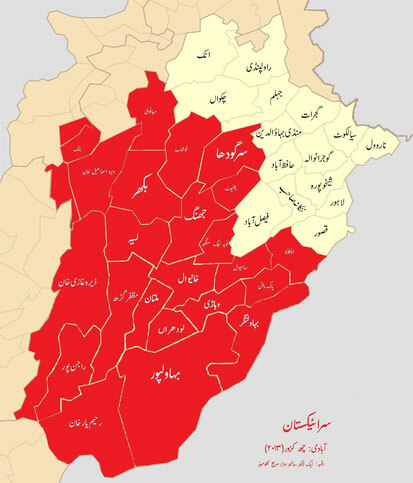 People of many Tehsil councils in Bahawalpur , Multan , Dera Ghazi Khan and other areas have passed resolutions for the creation of Siraikistan Province . If deaf and dumb people of upper Punjab don’t know about this then they should blame themselves. This can further be proved with the help of a referendum. Actually an independent and impartial judicial commission should be constituted to look into this national issue and to submit report and recommendations. Most of our feudal lords are very happy being poodles of Punjabi politicians. They love to live in Lahore and on the instructions from their Punjabi masters they have always opposed creation of Siraiki province. Now the situation is changing. Let the people of Bahawalpur decide about this. Recently many Tehsil councils of Bahawalpur Division have unanimously approved resolutions for the creation of Siraikistan province. Nevertheless, we should be fair and realistic on this issue and no one should force the people of Bahawalpur to be part of Siraikistan, if they do not want to. This is the real dilemma of our democratic process. Our people are forced to vote for those who do not represent their electorate in the true sense. For example, people of Indian held Kashmir want independence from India to join Pakistan yet their elected people support Indian occupation. APHC leader Ali Gilani, Yasin Malik and others have not been able to win state elections. This is the reason we demand that referendum be held to know will of the people. They will get every thing which the people of upper Punjab are now getting. This will be possible only when we shall have our own separate province with separate budget and civil service to implement all the development schemes. For this our friends should read my article regarding justification for the creation of Siraikistan province. This is unfortunate as they have never been true representatives of the Wasaib. Except one or two persons, all of them were powerless rulers similar to our present PM. They were all feudal lords who had their own mindset and objectives. Even now they have their own mini states within State where they subjugate local people. They maintain their own courts and prisons and system of justice or injustice to keep their people under firm control. That is the reason that they have always tried to keep their people, rather subjects, uneducated and poor with their constituencies under developed. They all know that majority of them are now unable to win their elections in the city areas where people are more educated. A community is always backward and non progressive due to majority of the people being uneducated and lazy. Bureaucracy, establishment and politicians of upper Punjab are to blame as they kept our Wasaib uneducated and backward with the connivance of feudal lords and elected representatives of the Wasaib. Our resources were drained off and siphoned out to develop upper Punjab . Creation of Siraikistan province will mitigate such problems. People of upper Punjab should not bother about this as they have never before worried about our poor state of affairs. To finance our infrastructures, we shall definitely claim our due share in the property and assets of the province which were acquired, developed and maintained with the provincial budget such as Governor House, CM and Ministers’ residences, GRA estate, Secretariat complexes, assembly building and other similar buildings. Now people of Wasaib want to control their own resources to solve all their problems of literacy, unemployment and poverty, improvement of infrastructure, industrialization and development of the area. Siraikis trust people of upper Punjab no-more and they do not want to remain their slaves. 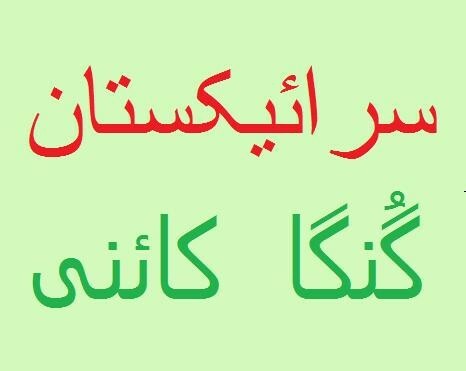 Now is the time that we all should unite and start this campaign for the creation of Soobah Siraikistan on linguistic, cultural and historical basis, i.e., all the areas of Siraiki Wasaib should be grouped together to form Siraikistan. We should not feel guilty or apologetic while demanding this. In this connection, kindly inform all Siraiki activists, media persons, MNAs, MPAs and Senators as to how India created more provinces and how they divided East Punjab which was half the size of Pakistani Punjab . This will help them to face and properly respond to all the anti-Siraikistan elements. See below some details regarding creation of Indian States. So far we have kept quiet about employment of Siraiki people in the services. Now the time has also come that we should vigorously demand our due share and representation, on our population basis, in the Central and Provincial Civil Service, all the Armed Forces and all the Semi Government and Government controlled bodies. In all the previous census reports, population of Siraikis was shown very low where as that of Punjabis used to be inflated and Siraikis used to be counted as Punjabis. This was a pre-planned move to grab lion’s share from the national wealth. So far they succeeded in that. In the coming population count a clear picture will emerge if there is no foul play like before. For this an awareness campaign is to be started in Siraiki Wasaib. Our Punjabi Establishment and diehard Punjabi politicians are still following policies of intolerance, hegemony, exploitation and denial of rights of others by force. Due to this colonial attitude we lost East Pakistan with such a disgrace and now we see separation movements in Balochistan. Next on line is perhaps South Punjab . Our Establishment is still not willing to give due right to smaller provinces and Siraiki Wasaib. Prejudiced people of upper Punjab are against creation of more provinces in Punjab as they want to keep subjugation of Siraiki Wasaib. They want to continue this system of loot khasoot of this area for the development and prosperity of their areas. Budgetary allocations of Punjab province and the federation are clear indicators. It is the height of cheating that in the current budget of Punjab Rs. 170 billions have been allocated for the development programs of upper Punjab where as a meager sum of only 6 billion is provided for south Punjab . This is a blatant act of robbing and depriving south Punjab in order to develop upper Punjab . It is to be noted that only Lahore Ring Road will cost Rs. 17 billion, then there will be Rs. 60 billion projects for flyover bridges and then Rs. 80 billion projects for Monorail and Rs. 200 billion projects for Metro and so on. These are the type of mega projects in the pipeline for Lahore to make it like Amsterdam or Switzerland . To finance all such projects they will definitely squeeze money from the development funds of south Punjab . We should demand that the Lahories should FULLY pay for the cost of such gigantic projects in the form of additional taxes. In case of shortage of funds LDA should sell the Governor House, golf courses, old race course park, Minar-e-Pakistan Park, Liberty market park and Model Town park and other similar parks and also GOR. They should immediately stop non-productive projects like construction of Bab-e-Pakistan. Why should South Punjab share the financial burden for the beautification of Lahore and other development projects of upper Punjab ? There is another important issue regarding Provincial Autonomy. If all the provinces are given autonomy and full control over their natural resources, before creation of Siraikistan province, then Siraiki Wasaib will the ultimate loser. The shortfall and loss of revenue from the natural resources of mineral rich provinces will then be recouped from the Siraiki Wasaib to finance development projects of upper Punjab . They talk about present Swat crisis to curb the demand for more provinces and with this excuse they want to have the liberty to keep depriving us of our due share. ENOUGH IS ENOUGH. NO MORE we can remain under subjugation of upper Punjab . Punjab province shall have to be divided into 3 to 5 provinces whether People of upper Punjab like it or not. This is also very much necessary for a stable and strong Pakistan and also for the development and prosperity of neglected areas, especially Siraiki Wasaib. There should be an open debate in the public, in the media and in the Parliament on this issue. The best solution is that the Government should first create Siraikistan Province , with an executive order of the President similar to the “ Province of West Pakistan Dissolution Order 1970”. After that an independent and impartial Judicial Commission be appointed to propose creation of more provinces with proper adjustment of boundaries, like India did fifty years ago. Actually we should have done this at the same time. Unfortunately, at that very time, our Pro-Punjabi Establishment and Lahori Chauvinists were maneuvering to create One Unit, with the connivance and full support of a Punjabi Governor General Ghulam Muhammed of Mochi Gate Lahore. They succeeded in this to put the entire West Pakistan under the control of Takht Lahore. They were even not fully satisfied with this and later on they managed to get Federal Capital shifted to Islamabad for their ulterior motives. When one unit was abolished they took the revenge by annexing Bahawalpur which was never part of Punjab . Now the Punjabi establishment, politicians and diehard Punjabi activists have became all in one. As a result we see Government of the Punjabis by the Punjabis for the Punjabis. During regimes of Ziaulhaq and Punjabi Muslim Leagues ( A, B, L, M, N or Q ), the exploitation of Siraiki Wasaib had been at the extreme. Our present Punjabi CM is Khadim-e-Aala only for the upper Punjab where as he is Mukhalif-e-Aala for the progress and prosperity of Siraiki Wasaib. This year’s budget prepared by his team is a clear proof of that. Many questions and objections are being raised in the media and public debates. These are given below and will be thrashed out soon in my next article. Now our urgent issue is to strongly protest and keep protesting against the budgetary allocations until this disparity is removed completely and we get our due share. Demand for Siraikistan province shall have to continue also. Political movements for the creation of new, linguistic-based states developed around India in the years after independence. The movement to create a Telugu-speaking state out of the northern portion of Madras State gathered strength in the years after independence, and in 1953, the 16 northern, Telugu-speaking districts of Madras State became the new State of Andhra. Other small changes were made to state boundaries during the 1950-1956 period. The small state of Bilaspur was merged with Himachal Pradesh on July 1, 1954, andChandernagore, a former enclave of French India, was incorporated into West Bengal in 1955. In December 1953, Prime Minister Jawaharlal Nehruappointed the States Reorganisation Commission to prepare for the creation of states on linguistic lines. This was headed by Justice Fazal Ali and the commission itself was also known as the Fazal Ali Commission. The efforts of this commission was overseen by Govind Ballabh Pant, who served as Home Minister from December 1954. The commission created a report in 1955 recommending the reorganisation of India 's states. The States Reorganisation Act of 1956, which went into effect on November 1, eliminated the distinction between part A, B, and C states. It also reorganised the state boundaries and created or dissolved states and union territories. The States Reorganisation Act of 1956 was a major reform of the boundaries and governance of India's states and territories. The act reorganised the boundaries of India 's states along linguistic lines, and amended theIndian Constitution to replace the three types of states, known as Parts A, B, and C states, with a single type of state. Although additional changes to India 's state boundaries have been made since 1956, the States Reorganisation Act of 1956 remains the single most extensive change in state boundaries since the independence of India in 1947. Andhra Pradesh: Andhra was renamed Andhra Pradesh, and enlarged by the addition of theTelangana region of erstwhile Hyderabad State. Kerala: formed by the merger of Travancore-Cochin state with the Malabar District of Madras State . Madhya Pradesh: Madhya Bharat, Vindhya Pradesh, and Bhopal were merged into Madhya Pradesh, and the Marathi-speaking districts ofNagpur Division were transferred to Bombay State . Orissa: enlarged by the addition of 28 princely states including two princely states of Saraikela and Kharsawan, but later these two states merged with Bihar . Punjab: the Patiala and East Punjab States Union (PEPSU) was merged into Punjab . Rajasthan: Rajputana was renamed Rajasthan, and enlarged by the addition of Ajmer-Merwara state. India consists of twenty-eight states and seven Union Territories. All states, and the two union territories ofPuducherry and the National Capital Territory of Delhi, have elected legislatures and governments patterened on the Westminister model. The other five union territories have centrally appointed administrators and hence are under direct rule of the President. In 1956, under theStates Reorganisation Act, states were formed on a linguistic basis. Since then, this structure has remained largely unchanged. Each state or union territory is further divided into 610 districts for basic governance and administration. The districts in turn are further divided into tehsils and eventually into villages. In India there are 29 states and 6 Union Territories (UT). Here a little over a billion people reside. Among these 29 states, Uttar Pradesh is the highest populated state and West Bengal is densely populated.